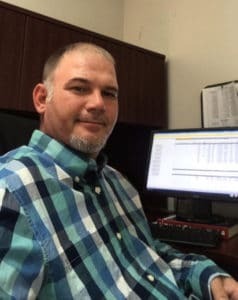 New Service and Inspections Manager for Jacksonville Announced - Cox Fire Protection Inc.
Cox Fire Protection is honored and excited to introduce our new Service and Inspections Manager, Rodney McDaniels, in our Jacksonville Branch. Rodney has been in the fire protection industry for over 2 decades, and brings a wealth of experience and expertise to our team. As a NICET III fire sprinkler contractor and former owner of a successful fire sprinkler company in North Carolina, Rodney brings a hands-on, relationship-based perspective to his growing department in Jacksonville, with a defined goal of building a strong team environment, and delivering a quality product second to none. When he’s not working – you’re most likely to find Rodney outside, probably on a boat with family and friends. Welcome to Cox Fire, Rodney!